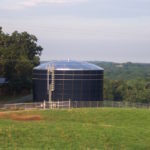 Aquastore is the leader in storage tanks for water, wastewater and landfill leachate. 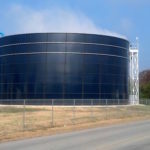 Because of its proven glass-fused-to-steel technology, modular construction and expansion capability, it provides greater lifetime value than any other tank on the market. Aquastore’s glass-fused-to-steel is the premium technology for bolted municipal and industrial storage tanks. The silica glass coating applied in the factory on Aquastore tanks forms an inert barrier for both the interior and exterior tank surfaces. The coating bonds to the steel both mechanically and chemically. Glass-fused-to-steel is twice as hard (6.0-7.0 Mohs) as any field-applied coating system. It is impermeable to liquids and gases, controls undercutting caused by corrosion and provides excellent resistance against impact and abrasion. A.O. Smith began using the methodology of controlling corrosion by fusing glass to steel in the 1930s for uses in the brewing and hot water heater industries. Based on this success, in 1949, A.O. 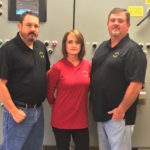 Smith established the Harvestore Products Company (now CST Industries, the world’s largest tank manufacturer) to market the glass-fused-to-steel bolted tank technology in the agriculture market. 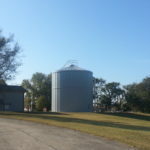 This use of silos to store feed has been widely used for over 65 years. Then, in the 1970s they formed the Municipal and Industrial Division and launched Aquastore tanks for water, wastewater and other liquid storage uses. Since then, more than 100,000 glass-fused-to-steel Aquastore tanks have been installed in over 70 countries. Contact us today for a quote on an Aquastore tank. We’ll help you find the right solution for your needs.